Ideal Schools specialise in home study (distance learning) training in Bookkeeping and Accounting subjects including Sage computerised bookkeeping, Payroll Management and Self Assessment Taxation courses. 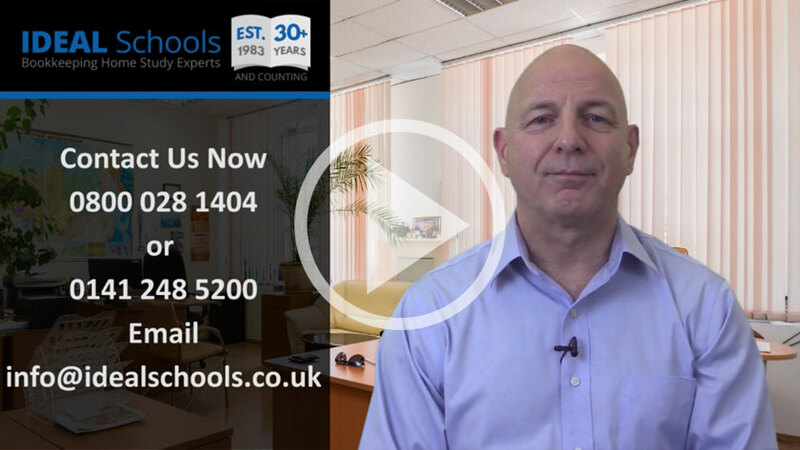 We at Ideal Schools have taught and delivered bookkeeping and accounting skills to thousands of students for over 35 years. Successful students have improved their job prospects and financial situation using our home study training. Our specially prepared study manuals are easy to understand and take you step by step through the essential topics, enabling you to pass examinations and providing the opportunity to launch your bookkeeping career. Full tutorial services are available via phone, email, live chat and our award winning, private social media groups. Today the demand for our bookkeeping and accountancy courses is greater than ever, as people realise that studying at home, at their own pace, is the best way to obtain the qualifications necessary to start earning and improving their standard of living.